In Week 4 of the NPSL season for Academica, the team traveled to Oakland to take on the East Bay Stompers. AC entered the match with a 1-2 record having lost to Sac Gold the previous week while the Stompers were 0-1 after a narrow defeat to San Ramon the weekend prior. The match took place at Raimondi Park, where only a couple months prior Academica defeated the Oakland Stompers in the 3rd Qualifying round of the US Open Cup. The match started off with AC having a majority of the possession and looking especially dangerous out wide. The Gold and Black drew a foul on top of the Stompers penalty area and Gera Cazares curled his free kick into the top corner to open the scoring in the 11’. AC did not let up as only 4 minutes later Edwin Rodriguez broke down the left side and found Cody Golbad in the center of the 18 yd box who calmly slid it home for his first goal of the season. Golbad was last year’s top scorer for AC with 14 goals but was just making his debut tonight after being sidelined through injury. 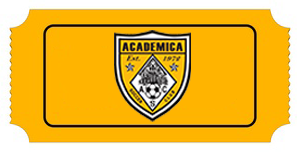 The half continued with Academica controlling the tempo of the match but there was yet controversy to be had as an off-the-ball altercation saw both teams receive red cards. Both teams would have to play the remaining half with 10 men each. The second half began in much of the same way as the first with AC creating chances and smothering any counter attacks. In the 68’, Fermin Chaidez found space on the right side and his cross was deflected into the back of the net by a Stompers defender. This gave AC a 3-0 with 20 minutes remaining. The action was far from over as only a few minutes later Jose Barriga brought down the East Bay attacker in his box and drew a penalty. Khalid Arramdani stepped up for East Bay but saw his penalty attempt saved by Alonso Lara. The clean sheet would not last much longer as two minutes later as Pacheco found time in the Academica penalty area and fired home an overhead bicycle for the Stompers opening goal. AC replied back quickly as a beautiful team play found Steven Sousa with space in the box who laid the ball off to Chaidez to slot it home to make it 4-1. The action continued as a speculative effort from 35 yards out found Lara wanting to score East Bays 2nd and a scramble in the Academica box allowed the Stompers to score their third and make for a nervous finish. AC were able to close the match out and leave Oakland with the 3 points. Academica hosts IPS on 4/6 for their 4th Qualifying Round US Open Cup match while the Stompers travel to FC Davis that same day.